The 2005–2006 Jerome Emerging Printmakers’ Residency was made possible with a grant from the Jerome Foundation, in celebration of the Jerome Hill Centennial and in recognition of the valuable contributions of artists to society. Xavier Tavera has spent his time at Highpoint honing his screenprinting skills while creating a collection of prints that reflect Mexican pop culture, posters, street art and Mexican imagery. Born in Mexico City, Tavera was a recipient of a 2003 McKnight Fellowship, and his work has been included in exhibits at the Soap Factory, Minneapolis Institute of Art, and Exit Art (NYC). Keiko Ishii Eckhardt has created a body of work that centers around identity. “I believe identity is shaped by the hundreds of small moments and decisions made by ourselves, the people around us, and the ones no longer with us. I reflect this continuity of being through an intuitive process of research, writing and drawing, distilling the important pieces into appropriate visual representation.” She holds MFA (2004) and MA (2003) degrees in printmaking from the University of Iowa, Iowa City, and has participated in shows at Soo Visual Arts Center, Columbia College Gallery, and the Armory Center for the Arts in Pasadena. Matthew Bindert creates his work based on “experiences and observations…made throughout [his] life” and channels the resulting emotion into “aggressive and intense carving of [his] woodblocks.” Bindert’s large-scale pieces approach the realm of abstraction and explore consumerism and other world issues. 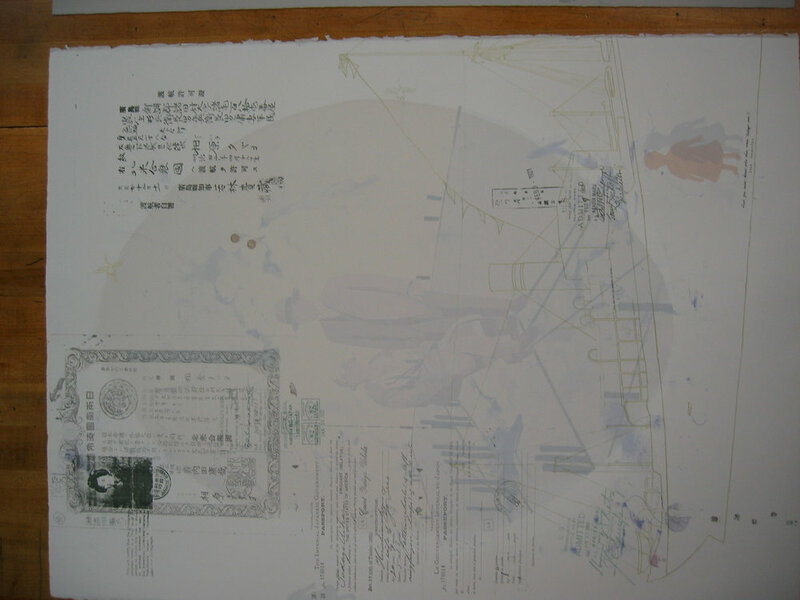 A 2003 BFA-printmaking graduate of the University of Minnesota, he has recently exhibited at spotArt Gallery, Rogue Buddha Gallery, Rosalux Gallery, and International Print Center New York. Special thanks goes to the excellent panel of jurors that made the selections: Diane Mullin, Associate Curator, Weisman Art Museum; John Rasmussen, Founder and Director, Midway Contemporary Art; and David Rathman, acclaimed printmaker/painter and Highpoint-published artist.